1 edition of Historical collections of private passages of state, weighty... found in the catalog. Add another edition? Are you sure you want to remove Historical collections of private passages of state, weighty matters in law, remarkable proceedings in five parliaments from your list? 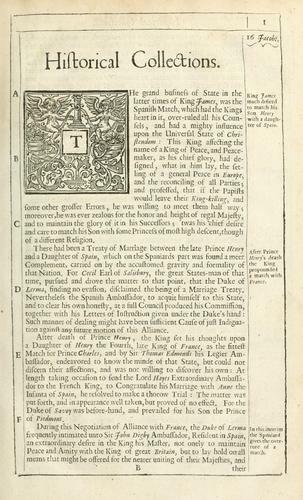 Published 1659 by Printed by Tho. Newcomb for George Thomason in London . 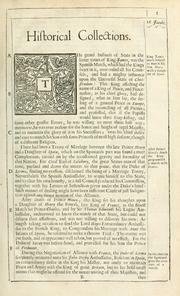 The tryal of Thomas, Earl of Strafford ... upon an impeachment of high treason by the Commons assembled in Parliament ... begun ... the 22 of March 1640 and continued ... until the 10th of May 1641.